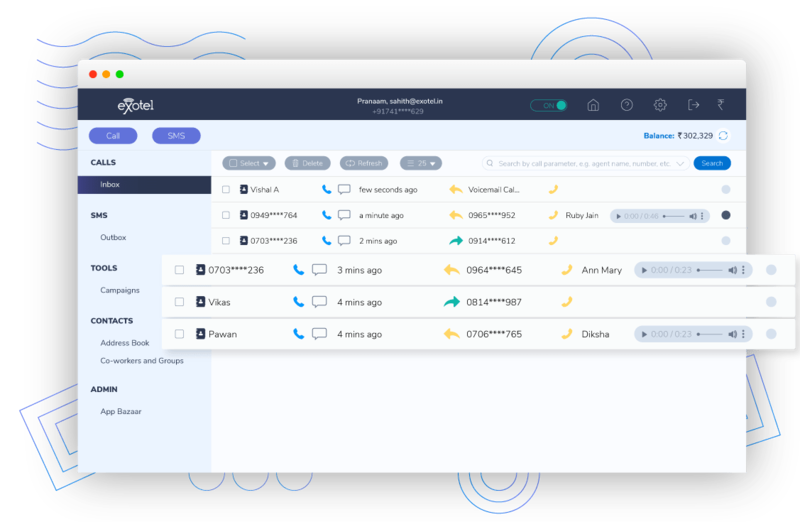 Exotel’s cloud based call center software has all the features to efficiently manage your inbound, outbound or a combination customer call center. Get started in a few minutes, and scale as you wish! No more struggling with the shortcomings of traditional systems like EPABX. What is a cloud call center software? All the features you require in a call center software to efficiently manage your customer call center on the cloud – IVR, call recording, routing & more. No more struggling with traditional systems like EPABX. Get an Exophone (virtual number) from Exotel. Divert all calls from your customer facing number to the your Exophone. Personalize the call flow to ensure customers have a great experience. 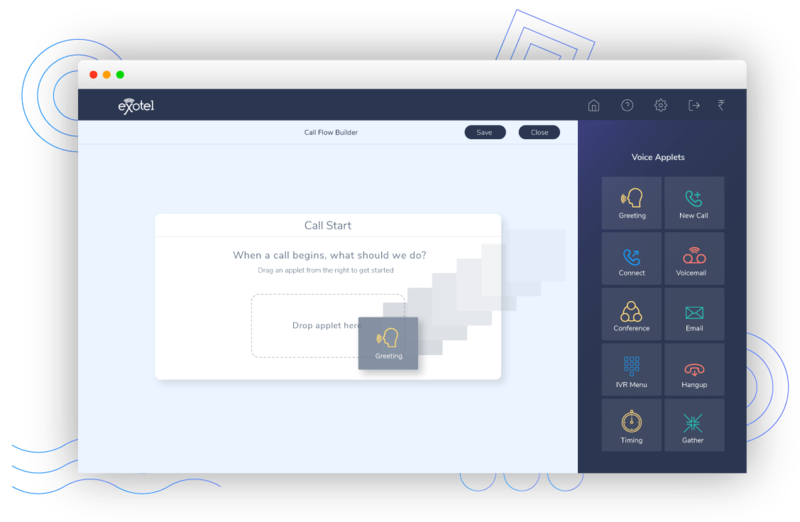 Create an IVR greeting, add voicemail option, set office hours etc. Add/remove agents, virtual numbers (Exophones) and increase or decrease the number of calls without worrying about the infrastructure. No spending on infrastructure, set up or maintenance. Who should use our call center software solutions? Any business, with a customer facing team, that wants to streamline customer communication. A customer support call centre up to 500 agents can use Exotel for call centre solutions. Give your customers a seamless experience every time they call you. Personalize, customize, sound professional with our IVR solutions. Missing a call means losing a potential customer or missing the opportunity to solve a customer’s problem. With our call center software, stay informed about your business calls and serve your customers better. Get notified at the right time. What is a cloud call center software ? It is a contact center software with all features like IVR, call recording, routing, etc. all on cloud, without the need of a EPABX. Also, the existing telephony hardware such as cables, switchboards, desk phones are replaced by a software, maintained and operated virtually by a third party - hence the term 'cloud telephony.' By incorporating a cloud calling software, all your business calls are digitally transmitted, routed and terminated via the internet. As compared to a traditional PBX system, with cloud telephony you pay for what you use. Which means no costly PBX maintenance or upgrades, and saves you time and manpower. All you need to get started with cloud telephony is a computer and internet connection. No additional hardware, handsets or license required. A company simply needs to sign up for the service with a trusted hosted contact center operator who typically charges you with a monthly service fee, depending upon the package chosen, the number of activated lines and additional value-added services. As a result, contact centers still running on traditional PBX system are missing out on telephony features that could boost the productivity and stimulate personalised customer experience pivotal for business growth. Which companies should ideally use cloud contact center softwares? Any business, with a customer facing team, that wants to streamline customer communication. Especially, companies facing these following issues should consider shifting to a hosted call center software. > Maintenance issues due to an existing communication system. > Extensive time spent on discovering skills and expertise necessary to maintain the ailing communication process. > Costly repairs and extended downtimes. > Difficulty in finding a scalable and reliable replacement as needed. > Tricky and time-consuming process associated with adding employees to the system. > Increased chances of a system failure caused by an outdated on-premise PBX system. > Lesser scope to add in-house system modifications owing to changing business needs. > Communication issues that result from multiple on-premise PBX systems across various office locations. Inconsistency in meeting the needs of mobile and remote workers. > Rising costs of maintaining on-premise telephony systems. 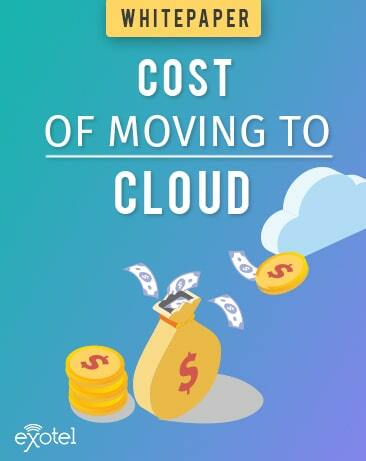 How much does Exotel charge for its cloud call center software? How reliable is Exotel's cloud call center software? Know how a cloud call center software can help your business. Set up a call.